Not unreasonably, you determine that if you want to be alive 25 years from now, you’d be wise to treat this aggressively. So you find the best surgeon you can get to and schedule a robot-assisted radical prostatectomy with the full knowledge that you are probably going to need follow-up treatment unless you get phenomenally lucky. You don’t get phenomenally lucky! Three months after your surgery, your PSA is 0.30 ng/ml. A month later it is 0.45 ng/ml. Your pathological stage is pT3bN1M0, based on a single, small, surgically removed, positive lymph node. (You had previously had a negative bone scan and a negative CT scan.) So you have high-risk, non-metastatic, hormone-sensitive prostate cancer (nmHSPC). So what is the “androgen annihilation” trial? All patients will be treated for 52 weeks (a year) and then they will be followed to see what happens to their PSA level. The primary endpoint of the study is PSA-based progression-free survival in the intent-to-treat patient population. PSA progression during the 52-week treatment period is defined as a rising PSA confirmed on repeat measurement, and at least 25 percent or 2 ng/ml above nadir or baseline, whichever is lower. PSA progression during follow-up is defined as a PSA > 0.2 ng/mL confirmed by repeat measurement at least 2 weeks later. Arguably, the current standard of care for a patient like this is neoadjuvant ADT followed by radiation therapy and abiraterone acetate (Zytiga) as recently defined by the STAMPEDE trial, in which the ADT is given up front, before the radiation therapy and the abiraterone. So if you are going to enter the trial after you have ADT + radiation therapy, you won’t be able to enter the trial for 9 months after the radiation therapy is complete. Second, do we have any evidence that the combination of either ADT + apalutimide or ADT + apalutimide + abiraterone acetate is actually capable of completely “annihilating” androgens and eliminating all prostate cancer? Well, honestly, not as far as your sitemaster is aware. Third, do we have a really clear idea about the accumulated potential side effects of treatment with degarelix + apalutamide + abiratone acetate + prednisone for a year? Your sitemaster is unsure about that, but he doesn’t think so. Finally, is PSA-based progression-free survival really an accurate surrogate endpoint for overall survival in such patients over the next (say) 5 years? Some would say that the right endpoint is really metastasis-free survival for a trial like this. The problem, of course, is that the men who will get treated on the “androgen annihilation” trial are all at very high risk for metastatic prostate cancer and prostate cancer-specific mortality over the next 10 to 15 years — especially if their PSA doubling times at the time of trial entry are < 3 months. You can only enter this trial if your PSA doubling time is ≤ 9 months. The concept that is being tested here is whether we can literally wipe all of the prostate cancer out in at least some men with high-risk prostate cancer at the time of diagnosis and initial recurrence. Now the idea that, if we “throw the kitchen sink” at men with high-risk prostate cancer at the time of initial evidence of its progression, we may be able to actually cure at least some and hopefully many of the patients has been around for years. That’s why we gave them both surgery and adjuvant radiation back in the 1970s, and why we started giving them surgery and ADT + adjuvant radiation in the early 1990s. So far, the long-term effectiveness of these therapies has been limited. On the other hand, what is such a man to do? We know that we need better treatments for men diagnosed with these aggressive types of prostate cancer. On the other hand, is this the best design we could have come up with for a trial of this type? That is certainly open to discussion. One of the problems is that this trial was designed and initiated before we got the results of the STAMPEDE and the LATITUDE trials that were announced at ASCO earlier this year. Some are likely to argue that better trials would be possible using a spectrum of other possible treatments for men with progressive, high-risk nmHSPC. It is certainly the case that other drug combinations could be tested in such patients with considerable justification. The “New” Prostate Cancer InfoLink hopes that they will be. I felt as though you were reading my biography when you described your high-risk patient (DX 2008, age 52, PSA 135, GS (4 + 3 w/TG 5), pT3bNOMX). Your insights are amazing given that you have never been diagnosed or treated for prostate cancer. The question you asked (“On the other hand, what is such a man to do?”) is asked incessantly among high-risk nmHSPC patients, and we have always come to the same conclusion — no good answer. But I am very glad knowledgeable commentators like yourself keep asking the question and there is some attempt in the clinical trial context to get an answer. Thank you for your excellent reporting and advocacy. @Richard. Good luck and God bless. Well done so far. @World. There is just such an inundation of innovation and insight no study can be perfect. How should one work the apparent promise of BAT into a trial like this, for example? It’s a rhetorical question. In the last paragraph you had mentioned about the STAMPEDE and LATITUDE trials as discussed in the recent ASCO 2017 meeting. The case in discussion was actually on high-risk nmHSPC. But aren’t the LATITUDE and STAMPEDE trial data presented at the recent ASCO 2017 meeting actually related to the treatment of high-risk, high volume metastatic HSPC and not nmHSPC? A breakdown of STAMPEDE’s patients showed that among the 52% of patients who had metastatic disease, the addition of abiraterone was associated with a clear OS advantage (HR, 0.61; 95% confidence interval [CI], 0.49 – 0.75). However, in the other half of the participants who had nonmetastatic or locally advanced disease, the CI crossed 1 (HR, 0.75; 95% CI, 0.48 – 1.18). Furthermore, based on an abstract from the recent ESMO 2017 meeting, on adding abiraterone acetate in high-risk nmHSPC, for the N+M0 disease, the OS, FFS and MFS were based on the subgroup analysis and need to be confirmed on a second randomized trial, while for patients with N0M0 disease, there was no significant OS and MFS benefit and a longer follow up was required. Please appreciate that I was doing my best to be very careful with my language in the commentary above. In the STAMPEDE trial, as presented at ASCO this year, patients “had either locally advanced or metastatic cancer, and all were commencing long-term standard androgen-deprivation therapy for the first time. The standard therapy consisted of androgen-deprivation therapy for at least 2 years; men with locally advanced cancer (48% of all patients) could also receive radiation therapy in addition to androgen-deprivation therapy.” Thus half of the patients were definitively not metastatic in the sense of being M+. In the LATITUDE trial, also presented at ASCO, “A total of 52% of the patients had metastatic disease, 20% had node-positive or node-indeterminate nonmetastatic disease, and 28% had node-negative, nonmetastatic disease”. Again, 48% of the patients definitively did not have M+ disease. Now how one interprets these data is certainly a matter of opinion. If I was a 60-year-old, otherwise reasonably healthy patient just diagnosed with high-risk, nmHSPC of any type, I would be looking at my doctor and saying, “Why wouldn’t you put me on ADT + radiation therapy after 3 months and then add abiraterone acetate?” I realize that it is possible to state that the effectiveness of this form of therapy is not categorically proven in this subgroup of patients, but that may have more to do with the trial design and the follow-up period than it does with the effectiveness of the treatment. Of course I recognize and acknowledge that there are patients for whom this form of therapy would be contraindicated. And I also recognize that any patient being treated this way needs to be appropriately cautioned about the risks (not least about the long-term use of prednisone/prednisolone and about the long-term costs of therapy). I also acknowledge that any decisions about whether to start such an aggressive treatment regimen early should take account of the patient’s PSA doubling time. A patient could be defined as having high-risk nmHSPC with a PSA doubling time of only 3 months, Equally, a patient could be defined as having high-risk nmHSPC with a PSA doubling time of more than 2 years. One might want to treat these two patients rather differently! Indeed, in the latter case one might not want to treat him at all for a while. For all these reasons I very carefully used the term, “Arguably, the current standard of care …” (in the sense of “it can be argued that”) as opposed to the dogmatic “The standard of care is …”. My concern in the above commentary actually relates primarily to the timing of radiation therapy in the patients who are appropriate for radiation therapy in the “annihilation” study. That trial design appears to either (a) remove the opportunity to initiate adjuvant radiation therapy after initiation of (say) 3 months of ADT or (b) force the patient to delay enrollment in the trial by something like a year if he wants to have radiation along with ADT. That looks to me like a lose/lose situation for patients, and as though better decisions could have been made about the trial design. Thank you VERY MUCH for your very detailed reply. I have been ardently following up on the New Prostate Cancer Infolink, even the older one, for many years now and have found it to be very informative. 1. Could I confirm my suspicion on whether what may possibly happen when the follow up of this nmHSPC arm in the STAMPEDE trial were to be prolonged on a follow up for a longer duration of time? Should caution need to be emphasized on HOW LONG duration of Abiraterone treatment, above the duration for which one may imply an OS improvement of statistical significance, but unfortunately of clinical irrelevance? Should there be a consideration of the actual higher limit duration of the trial in high risk nmHSPC category above which questions will be raised whether Abiraterone, if had been instituted early in nmHSPC, would not have made a difference had it been started delayed after nmCRPC or mCRPC has already developed? Can a clue of the duration of which mCRPC or nmCRPC develops from this mHSPC arm may be determined from the control arm of the STAMPEDE trial? And will this then question whether the FINAL OS of the patients in the whole prostate Ca timeline were better off with early vs delayed Abiraterone therapy when decision is made in high risk nmHSPC? Would delayed Abiraterone in nmCRPC or mCRPC had made no difference from early nmHSPC treatment for the whole duration of timeline in the Prostate Cancer until death? I am aware that the PROSPER trial had concluded on the results of enzalutamide in nmCRPC but the results are yet to be presented in a conference, as per the news media statement by Pfizer and Astellas recently. 2. Does your panel in this Prostate Cancer Infolink have a similar Renal Cancer and Bladder Cancer Infolinks as well? If not, would you consider forming one? Or could you kindly suggest a similar very informative and contemporary updated infolink that is very critical in analyzing reports and trial results? Thank you very much for all the many years of hard work you have put on prostate cancer updates. It is highly appreciated. You had mentioned in your earlier reply: “In the LATITUDE trial, also presented at ASCO, “A total of 52% of the patients had metastatic disease, 20% had node-positive or node-indeterminate nonmetastatic disease, and 28% had node-negative, nonmetastatic disease”. Again, 48% of the patients definitively did not have M+ disease”. Isn’t this actually the STAMPEDE trial breakdown results and not the LATITUDE trial? Hence ALL patients within the LATITUDE trial were metastatic HSPC, in the high risk category inclusion category of high volume metastasis and / or high Gleason score and / or visceral metastasis. (1) My apologies. You are absolutely correct. Mea culpa. I had clicked on the wrong link with regard to the LATITUDE data. However, to be honest, I find the data from the STAMPEDE trial to be more compelling than the LATITUDE data anyway because I think it is considerably closer to what happens most of the time in the “real world” of patient care. The LATITUDE trial was designed with the primary goal of proving that abiraterone acetate worked in patients with metastatic HSPC so that it could be approved for that indication. The STAMPEDE trials have all been designed with the primary goal of helping the National Health Service determine what is in the best interests of men with advanced prostate cancer in the UK. (2) With regard to your prior questions, yes, I do think we have limited information about the effects (both potentially good and potentially dangerous) of long-term treatment with abiraterone acetate and similar agents, and that is another factor that does indeed need to be taken into consideration in the practical clinical application of drugs of this type. (3) The lack of data about the long-term outcomes of patients with mHSPC and nmHSPC who are treated with abiraterone acetate or enzalutamide is certainly a problem. Luckily I am not a doctor and so I don’t have to make decisions about the actual use of these drugs on a clinical basis. Having said that, I know there are smart patients who are willing to take risks when they have aggressive forms of prostate cancer, and I suspect you have seen patients in whom you believe that it may be worth taking such risks. I don’t think that I have the knowledge or expertise to help you or an individual patient make such decisions. I would like to think that 3 to 5 years from now we may be more knowledgeable about the long-term effects of these types of drugs in such patients, and therefore have a better capability to make these decisions. As for today, I think that all you can do as an individual physician is explain the options to the individual patients who you believe should know of those options, and give them whatever individual guidance you believe to be wise. (4) Alas, I know of no equivalent to this web site in the areas of either bladder cancer or renal cell carcinoma. If you are not familiar with this site, however, I believe that the UroToday web site does an excellent job of trying to keep physicians like yourself up to date with a vast array of information in the field of urology — inclusive of all the urological cancers. It may not be quite as blunt about some issues as we are on the InfoLink site, and you do have to be able to put up with (or ignore) the advertising that pays for its existence, but it is one of the many sources I rely on to help me to keep myself as up to date as I can manage. (5) There is no way that I could provide a similar InfoLink service for other forms of urologic cancer. There simply aren’t enough hours in the day! And I have no financial resources that would allow me to pay others to do this for me! But thanks for your confidence in thinking that I might! Thank you so much for the clarification. I do hold this InfoLink in high esteem and believe that it provides equivalent, if not more information, than most peer-reviewed journals on prostate cancer. I am indeed surprised to learn that you are not a medical doctor. But you have done a very good job updating us in this InfoLink. 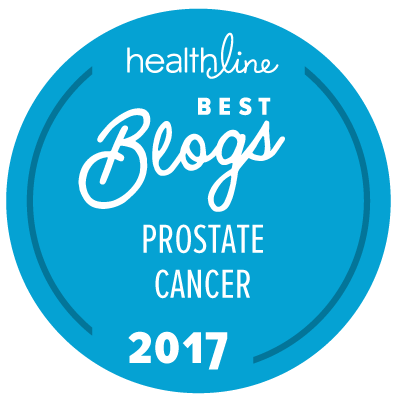 I will continue accessing this link regularly over the contemporary info and critical analysis of prostate cancer within this link.